As the name says, the community of Lakeview is right along the Glenmore Reservoir in SW Calgary. Homes for sale in Lakeview include spacious single-family homes and condos. Lakeview is a quiet neighbourhood with amenities, schools and recreation located within the community. 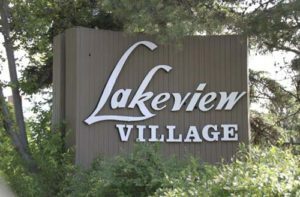 Here are the current Lakeview real estate listings, or read more about the community below. 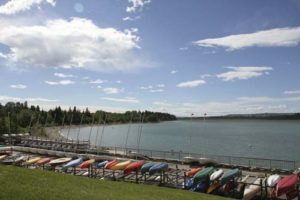 Lakeview is situated along the northern banks of the Glenmore Reservoir, a man-made lake used for drinking water, flood control and recreation. It was built in 1938 and a dam on the east side of the reservoir controls the flow into the Elbow River. Between the reservoir and Lakeview is North Glenmore Park – a large park with pathways, fields, picnic sites and views to the crystal-clear lake. Pathways circle the reservoir and connect to Calgary’s vast network of pathways. There is easy community access via Glenmore Trail and Crowchild Trail. Calgary Transit serves the community with direct buses to downtown and Chinook Centre. Commutes to downtown are easy, and getting around the city is a breeze with Glenmore Trail and Crowchild Trail. Lakeview real estate includes single-family homes, many of which have been updated and renovated. There are also some condos within the community. Nearby neighbourhoods include North Glenmore Park, Altadore and the Currie Barracks. Lakeview is located on the southern end of Crowchild Trail. Within the community, there is a shopping centre with a grocery store, pizzeria, services and more. Lakeview Bakery is known for its gluten-free options. There are a variety of schools in Lakeview, including Connect Charter School, Bishop Pinkham School, James Elliot School and Calgary Girls’ School. 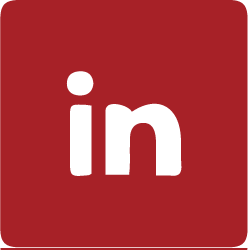 The Lakeview Community Association is a vibrant organization and hosts events and programs, and offers hall rentals. Nearby to Lakeview is Mount Royal University, Earl Grey Golf Club and Lakeview Golf Course. Contact us to learn more about this vibrant community and the homes for sale in Lakeview.